Burice Viola English Bradshaw, age 94, of Tiger, Georgia, passed away peacefully on February 6, 2019 at the Traces of Tiger. Burice was born the daughter of the late Freeman English and Ina Thompson English, on October 10, 1924. Burice was a Christian and attended the Timpson Presbyterian Church. 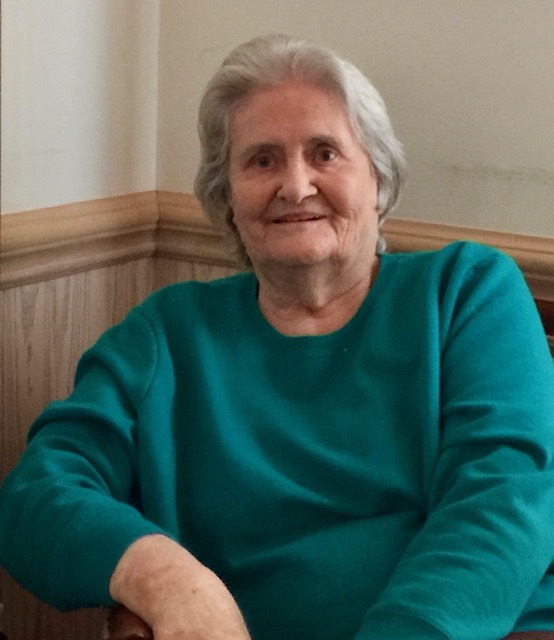 She loved quilting, cooking and baking cakes and was always interested in keeping up with her family genealogy. She loved to garden, to grow plants, and will be remembered as a loving mother and grandmother. In addition to her parents, she was preceded in death by her first husband, Tate Hunter; her second husband, Felton Bradshaw; her daughter, Castlenelle Hunter; four brothers, I. N. English, Porter English, Gervace English and Buddy Ross English; and three sisters, Bernice Williams, Opal Rogers, and Joyce Grist. Her survivors include her daughter, Felrese Carroll, of Clayton, Georgia and one grandchild, Resa Carroll. The family will receive friends on Friday February 8, 2019 at the Beck Funeral Home from 10:00 – 11:00 am. A funeral service will be held in the Chapel of the Beck Funeral Home on Friday February 8, 2019 at 11:00 am with Rev. Jeff Reynolds officiating. Interment will follow the service at the Rocky Grove Baptist Church. The family asks that in lieu of flowers, donations should be made in Burice’s memory to the Timpson Presbyterian Church, 35 Hawthorne, Lane Clayton, Georgia 30525.